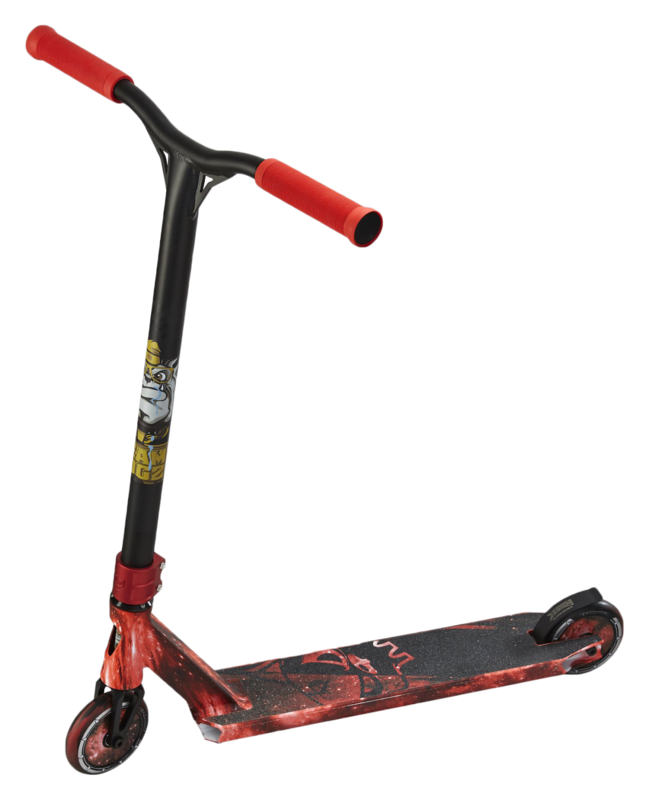 Due to the high demand for our Pro X Ultimate Galaxy Scooters we have now expanded the range to include Red! Team Dogz 2018 Pro X Ultimate Galaxy scooter in red looks out of this World! A high end ultra-light weight scooter, this is similar to our Ultimate Chrome scooters with the same deck and bars but with the Galaxy design and hollow core wheels.